Guest Post from the legendary guitarist Marc Ribot. One point that Mr. Ribot makes we would like to further emphasize at the outset: without DMCA reform there is no “market” for Copyright Royalty Judges to set rates under the MMA. This comes on the heels of a paper from Stan Liebowitz at the University of Texas. The Liebowitz study clarifies how the safe harbor, contrary to its intended purpose, creates an inefficient and unfair advantage for UUCs when bargaining with copyright owners, meaning that UUCs either do not pay for copyright permissions or, if they pay something, they pay less than the market rate. The following article examines the effect of ECM’s switch to Spotify – and the larger, tectonic shifts in the industry of ECM’s move is part –on indie jazz labels and artists: and suggests a course of action. The Music Modernization Act (MMA) , creates a mechanism for setting of rates and payment of royalties to publishers by streaming services, while insulating the services from liability for claims outside its structure. It is widely seen as clearing the way for Spotify’s long awaited IPO. This, in turn, is seen as a harbinger of the coming of Age Of Streaming. I don’t think there’s been so much unanimous celebration of a “new dawn” since Joseph Stalin grew a mustache. And it never will be viable, as long as internet giants like Google/YouTube can profit from copyright infringement with impunity by hiding behind the “safe harbor” clause of section 512 of the DMCA. [see glossary of acronyms at the end of the article]. Until then, for the majority of indie artists, the MMA will at best re-arrange the deck chairs on the Titanic, and at worst, weaken the coalition that might have made a real solution possible. In genres such as jazz, where clusters of small labels have been able to survive the already devastating effects of bit torrent/piracy and YouTube et al’s legal infringement (60% collapse of industry revenue) by creating niche markets based on physical object sales and legal downloads, the signs are already clear that this consolidation/rationalization of streaming (of which the MMA is a component) will drive many of the current labels out of business. What does “not viable” mean? It means that where once revenue received from the sale or licensing of a recording amounted to more than the cost of producing it, now, it doesn’t. (Yulun Wang, co-owner Pi Recordings). The problem isn’t just that streaming rates aren’t viable, its that they are displacing forms—cd’s, vinyl, and legal downloads—that are (or were). I’m an indie artist who has lost money on three of the last four cds I’ve made. What made them possible at all was the investment of record companies like Pi, whose co-owner is quoted above. Since its founding in 2001, Pi Recordings has released important recording in and around the jazz idiom by Henry Threadgill, Steve Coleman, Muhal Richard Abrams, Art Ensemble of Chicago, James Blood Ulmer, Vijay Iyer, Wadada Leo Smith, and many others. (Pi happens to specialize in jazz: the economics for indie labels in rock, classical, or other niche markets are similar). After an initial attempt to distribute through Spotify resulted in receipts of less than $200 — for the entire catalogue!— Pi withdrew. Pi’s experience with Spotify is typical of small labels on other streaming platforms as well. John Zorn’s Tzadik label has been a central institution of NYC’s Downtown New Music scene since the early 90’s . Recently, the entire Tzadik catalogue was (accidently, and against John’s specific instructions) placed on Google’s streaming network for 6 months. When John found out about this, he immediately withdrew the catalogue: his 6 months of streaming had produced over 250,000 streams, generating: $300 in total for the entire catalogue. You don’t need a supercomputer to see what the $300 dollars in 6 months “Age Of Streaming” will do to Tzadik. That’s what “not viable” means. What has enabled Pi and other small Jazz labels to survive outside the streaming world thus far has been the existence of a market for CDs and downloads. What in turn kept that market viable was that other important jazz labels, notably ECM, had also withheld their catalogues from Spotify. This meant that a significant jazz buying public participated in the CD/vinyl economy: ie: they owned cd players and turntables, and acculturated to going to stores, visiting Bandcamp, Amazon, or label websites, to order their music. Of course this past weekend it was announced that Cuneiform, a fine jazz label that has been around for over three decades, has decided to take time off to reconsider their future. Yulun isn’t an engaged artist rights activist. In fact he tended to be fairly apolitical on these issues…until recently. This isn’t just a problem for labels. It costs me as an artist 5-15 thousand to make a record: and months to years of work. On a recording I released with a label other than Pi that did stream with Spotify, I made c/a $260 from Spotify for the first 18 months—the prime sales period. If the rationalization of streaming further displaces the physical object and legal download market that used to pay for my recordings and leaves me with $520 for a $10,000 expense…? That’s what “We’re Fucked” means. If, for Taylor Swift, streaming was a bad deal, for indie artists and their labels, particularly those catering to emerging artists, or to niche markets like Jazz, Classical, and experimental, the damage is often terminal. Whether the MMA will make that deal more beneficial for small songwriters rests heavily on the degree to which indie songwriters advocates like Music Answers succeed in amending it. The root cause of the damage is not Spotify per se. Spotify is, first of all, legal: unlike YouTube or the pirate sites, its business model is not dependent on the mass violation of artists’ copyrights. I see no reason to disbelieve Spotify’s claim that they are charging consumers, and maybe even paying artists, as much as the market will bear. The underlying problem is that there IS no market…nor can there possibly be one, so long as YouTube and pirate sites make our work available, without our consent or remuneration, for free. And YouTube et al will continue to do so as long as section 512 of the DMCA gives them a special privilege “safe harbor” protection from liability for the damage we suffer when they do. The “grim” reality faced by Pi and other indie labels or the musicians whose recordings they finance[d] isn’t going away until YouTube et al’s special privilege “safe harbors” are made contingent on their adopting real measures for stopping mass infringement. The technology already exists for doing so—without hurting “fair uses”. The legal framework for protecting start-ups or “small business” OSPs, or ANY business for which adoption poses a problem is already written into the DMCA. Section 512 reform wouldn’t “force” anyone to do anything. But if major corporate online platforms specializing in the distribution of content (like YouTube) fail to take reasonable action to address infringement, including through the use of readily available technologies to avoid providing access to clearly infringing materials, they would lose their special privilege Safe Harbor protection from normal liability. If section 512 reform passes, we get a market back. If it doesn’t we don’t. All the rest is hype: NO industry can survive in competition with an open Black Market making its products available for free. Sadly, ours is no exception. The real practical solutions to the current market failure have already been written: The Music Community Response to the Copyright Offices inquiry on section 512 of the DMCA. In order for there to be a market in recorded music, these solutions now need to turned into law. And in order for that to happen, we’re going to need all the Music Community signatories to commit their full energy and resources to reforming section 512. Make no mistake: Google, YouTube, and others making billions annually in ad-based and data mining profits on infringing content do not like 512 reform. They’re going to fight it tooth and nail…and they have the sharpest teeth and nails that money can buy. Any realistic chance that such powerful opposition can be overcome lies in the hope that the Music Community’s power can be expanded – for example by mobilizing the memberships of its mass organizations – not reduced. The coalition which drafted and signed that “Music Community” document, including the AFM, SAG-AFTRA, A2IM and, (after negotiating amendments) SGA, have stuck together to endorse the MMA, even though their non-songwriting or small songwriting memberships will benefit only marginally, if at all, from the bill’s passage. 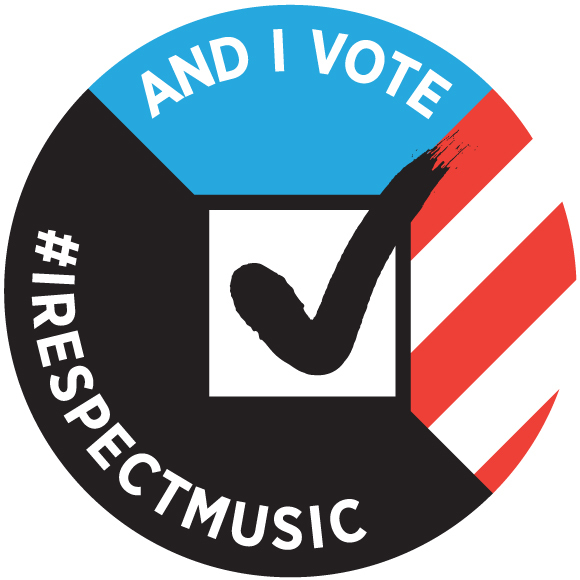 Its time for those “Music Community” coalition organizations whose members will benefit from MMA—NMPA, SESAC, ASCAP and BMI –to return the favor by demonstrating in some tangible form their commitment to fighting for 512 reform now. Some trustworthy advisors have warned that failure to pass the MMA would kill the chance for ANY pro-artist legislation—including section 512 reform—for at least 10 years. Others have claimed that making the MMA’s passage contingent on section 512 reform is simply not realistic. But “realism” cannot mean participating in the rationalization of our own extinction. Drowning under 3 feet of water instead of four is not an acceptable compromise. If the MMA’s “Grand Bargain” being negotiated by our leaderships paves the way for streaming to kill cds and downloads, leaves us with $500 to pay $10,000 bills, drives labels that used to fund our records out of business, and splits the coalition that would have enabled meaningful reform, then why should we care whether it passes? The large majority of my union’s recording members are indie musicians. What good does it do us to read from a distance of the gleaming benefits and protections of a union contract while, like the urban slum dwellers of Blade Runner, our real lives consist of scavenging to self-finance recordings in the wreckage of the recording economy (or doing sessions for equally cash starved indie labels or artists subject to the same impoverishment)? And what good will it do any AFM or SAG AFTRA member if, as some have predicted, the Major labels – which DO pay scale – are only backing the MMA to pave the way for Spotify’s IPO, after which they can cash in their equity, write golden parachute contracts for their chief executives, downsize into distribution offices for their back catalogue, and cease (directly) funding new recording? Beneath the unanimity of the Music Community’s support for the MMA, there is deep dischord, with many quietly pushing for amendment behind the scenes; and many others (including trusted artist advocates David Lowery, and atty Chris Castle opposing the bill outright. My union, the AFM, supports the MMA. But my AFM Local, 802, has quietly urged the AFM to support Music Answer’s proposed amendments. Having attended an open meeting on the MMA at local 802, I can tell you that even such conditional support was contentious among rank and file union members. If the MMA’s backers want to keep simple narratives of unanimous musician uplift and support in the public eye, if NMPA, ASCAP, and BMI want to deliver the MMA’s substantial benefits to their big publisher and major songwriter members, and if their Music Community union allies want to avoid a rank and file revolt, then I would advise all the above to take immediate steps to ensure inclusion of Music Community section 512 reform in Senator Goodlatte’s proposed comprehensive reform bill. If such attempts prove impossible to achieve, the Music Community organizations—ALL OF THEM– should present tangible proof that they are willing to develop, FUND, and commit to a campaign to fix the real problem: 512 of the DMCA. 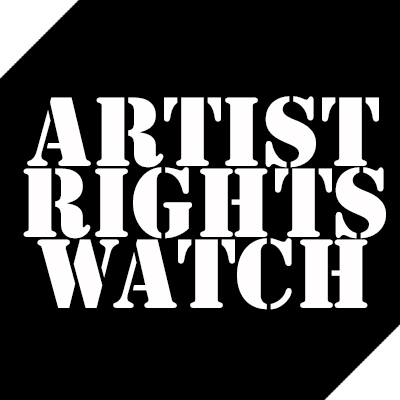 Maria Schneider and Chris Castle’s opposition to the MMA has focused on the ways the bill’s fine print undermines some of the gains for songwriters advertised as it goals. Other pro-artist groups—SGA, SONA, and Music Answers – have pursued the bill’s amendment, rather than its defeat, because, while acknowledging many of the same critiques as the bill’s opponents, they believe that its aggregate effect, if amended, would be beneficial for songwriters. But while feverishly guarding the castle walls against the MMA’s hidden effects on songwriters, we may have permitted the real Trojan horse to pass through the main gate unopposed: and that horse is strategic: the undermining of the basis for unity of the ONE coalition – the “Music Community” which up till now has included major labels, major publishers, and major songwriters– that can achieve section 512 reform. It is my strong suspicion that if indie artists/musicians wait till after the MMA passes to try to get the Music Community to win or commit to 512 reform, we— and small songwriters– are going to be left with about as much negotiating power to achieve that goal as the Trojan women after their city’s defense was breached. I want to be clear that I consider payment of royalties to songwriters — the stated intention of the MMA– entirely justified and fair. And I’m grateful to Hakim Jeffries, Bob Goodlatte, and the MMA’s other congressional supporters for their efforts to redress this longstanding injustice. Our representatives can address our grave concern by acting to put their budgets and political leverage where their USCO policy statements are. We need an actionable plan to win section 512 DMCA reform NOW—while united action is still possible. “Call us after the MMA is passed” won’t do. A2IM American Association of Independent Music: the indie label trade organization. DMCA: Digital Millenium Copyright Act of 1997-98: the US law governing copyright on the internet. RIAA, Record Industry Association of America: the major label trade organization. SAG-AFTRA Screen Actors Guild—American Federation of Television Radio Artists: the union representing vocalists and actors. SGA, Songwriters Guild of America, an indie song writers organization. This matters for several reasons. Jobs: although the indie sector is a minority of market share, it provides the large majority of work. Culture: every single current pop genre began as a niche market. If you kill the cultural goose, no more golden omelettes. > end special privilege ‘safe harbor’ protections for corporate Online Service Providers (OSPs) with ‘red flag’ knowledge of mass infringement. >end the game of whac-a-mole: reform the DMCA so that a single take-down notice effects the take-down of all identical files on a site…permanently. > The technology to protect our rights – without harming freedom of speech or genuine ‘fair uses’ — exists now: and should be made standard (Standard Technical Measures, or STM’s) for all major hosting platforms specializing in the delivery of content. No “Safe Harbor” for for major corporate Online Service Providers (OSPs) which fail to adopt STM’s. The figure cited by a PRO-artist advocate for defining “small” was capitalization of 30 million usd or less. The bullet points in footnote 6 are consistent with its recommendations. The practice, already begun, of licensing non-union indie recordings would no doubt continue. And what good will it do our culture and economy? Back catalogue sales are great: but we didn’t become a world emulated cultural model or a major exporter of music by funding the dead. suffice it to say that 3000 years after the sacking of their city, the word Troia still means prostitute in Italian. including small songwriters who will receive some benefits under the MMA. Songs large and small don’t produce income if they’re not brought to market in the form of a recording. We all rely on section 512 reform to restore a healthy market for recording. Music Community Response to the USCO Inquiry in section 512 ibid. note: although indie artists’ work accounts for a minority of market share, it represents a large majority of employment in the industry, and we represent an even larger majority of working artists. I’ve heard similar expression from other indie labels and musicians, but it rarely finds its way into the media. Then again, no major conglomerate is paying the publicists who might put it there. Not only does the move to streaming favor the large-back- catalogue Majors against their indie competitors, but the Major Labels all have equity in Spotify, whose coming IPO would not benefit from the amplification of voices such as Yulun’s. Music internet for majority of non signed artists is not viable business but even more . it supports a rip off system set in place by industry to back stab yourself when subscribing , in my personal opinion a self respecting rights owner would do much better selling his art directly to the public.